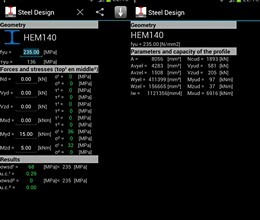 This Steel Design App lets you determine the elastic stresses at the top and in the middle of a beam, given the forces on the beam based on the theory of Huber-Hencky. Axial force, double shear and double bending are included. Integration with our Frame Design 2D app. 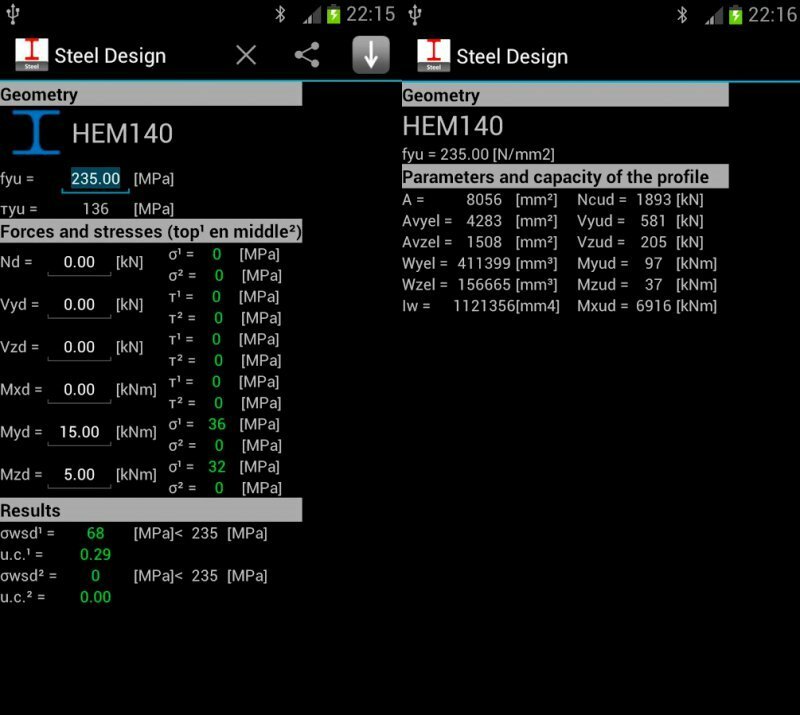 * SteelDesign download link provides freeware version of the software. BOEF is a spreadsheet program written in MS-Excel for the purpose of analysis a finite length beam with free ends supported continuously on an elastic foundation. ShapeBuilder calculates geometric section properties, like area, moment of inertia, etc. SHAPE‑THIN determines section properties of any thin-walled cross‑section and calculates the stresses. In addition, you can perform plastic design. This intuitive and feature rich finite element app is especially useful for civil engineers, mechanical engineers, architects and students who wish to design 2D frames. No one has rated SteelDesign yet. Be the first to rate this product.